We went to Busan last weekend and on Saturday is POURED all day long. There was a huge thunder and lightening storm passing through and we spent most of the day sheltered in a restaurant or drinking wine in an apartment. It was cool to see the lightening and listen to the pounding rain, but we were very grateful when the skies were clear and the sun was shining the following day. We went to Haedong Yong Gung Temple, which is very picturesquely perched on the rocks by the sea. It was super crowded that day but we still had a great time. 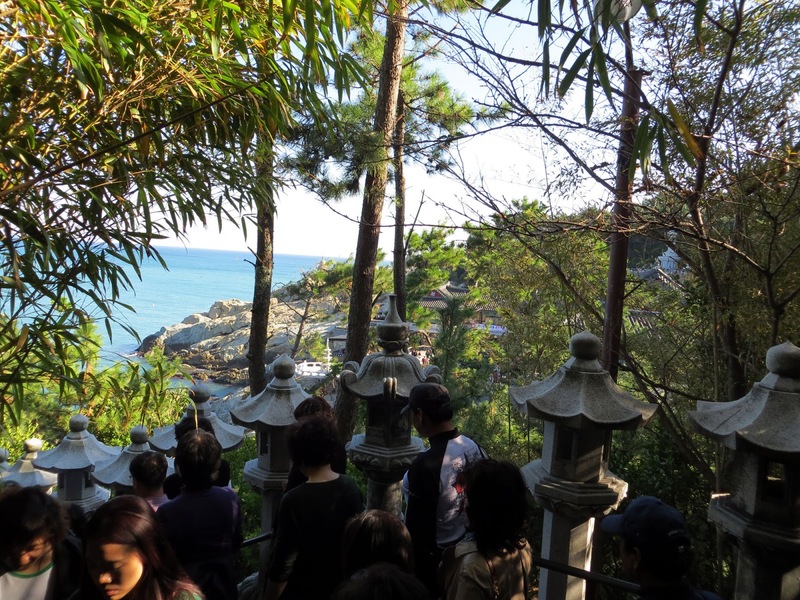 You walk down a narrow stone path of steps with stone lanterns and bamboo lining the path. If there weren't forty thousand other people with me, it would've felt like I'd stepped back in time. 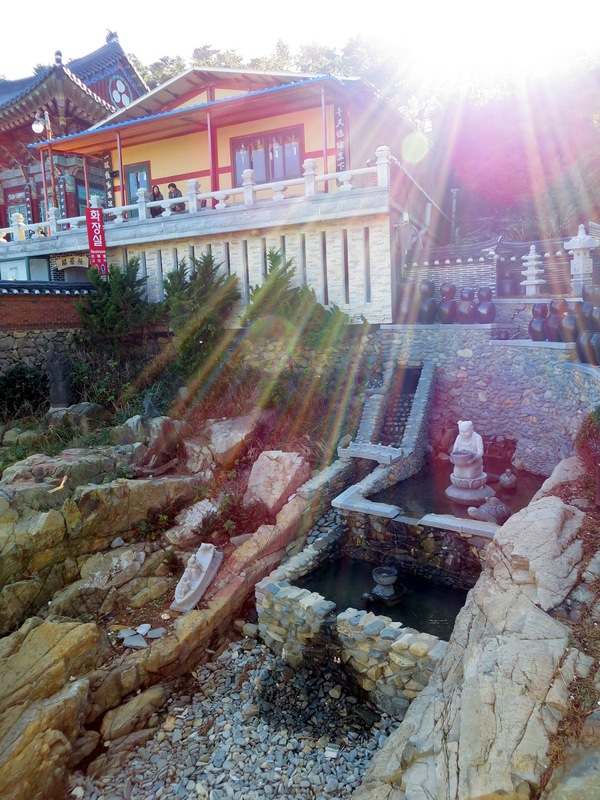 It was charming in a spiritual way and everything seemed very old. 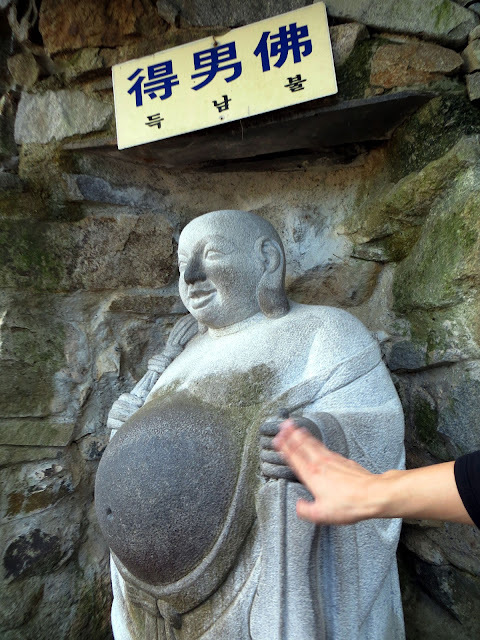 Don't forget to rub the Buddha's belly to ensure you have a boy one day. The steps take you down and across a small stone bridge, where you can stop and toss coins into the fountains below for luck. Extra points if you make it into one the bowls! 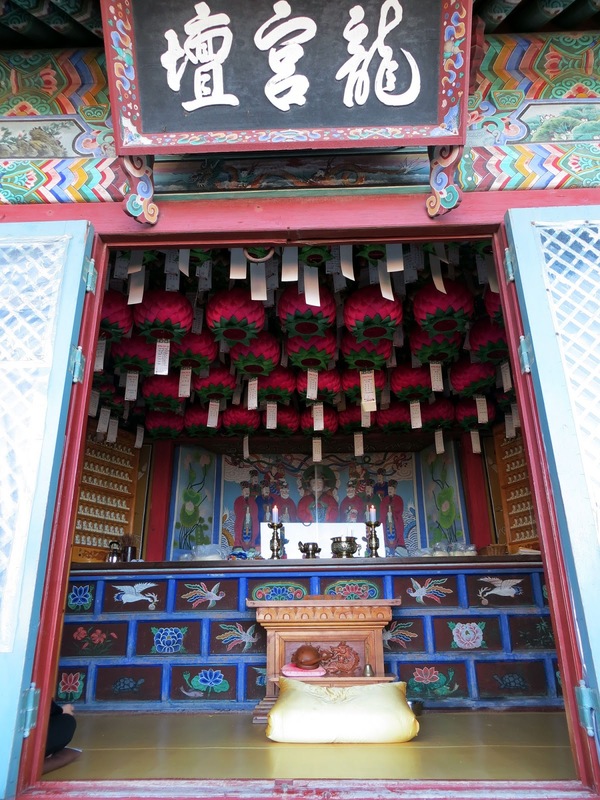 As with any Korean temple, it was painted beautifully. I love the attention to detail and variety of colors. It's stunning! Also very cool was that bright gold, fat and happy Buddha. Isn't he jolly??! We took more stone steps up and saw a brilliantly white statue of the Buddhist Goddess of Mercy. She was beautiful and her view of the sea was equally so. 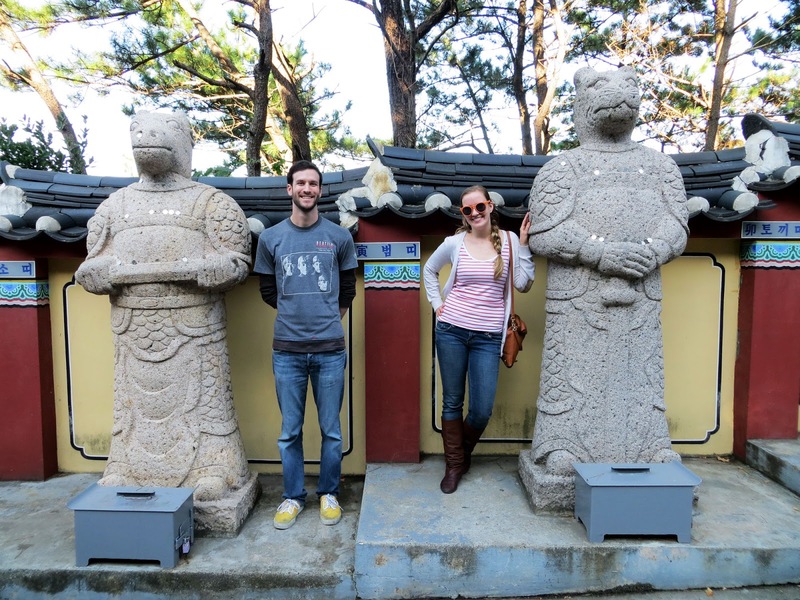 On the way out we all took pictures with our zodiac birth year animal statues. I'm the year of the tiger and Spencer is the year of the ox. 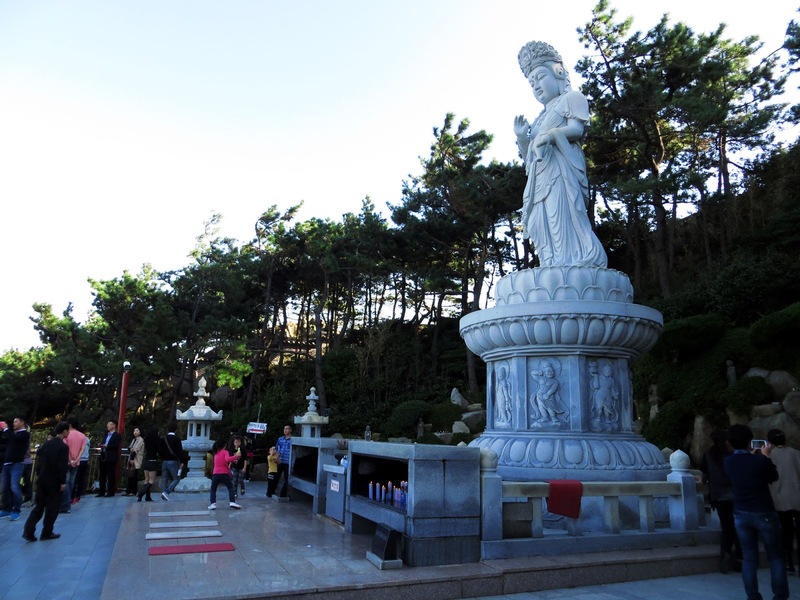 To get to Haedong Yong Gung Temple, take bus number 181 and head east from outside the Haeundae subway stop. 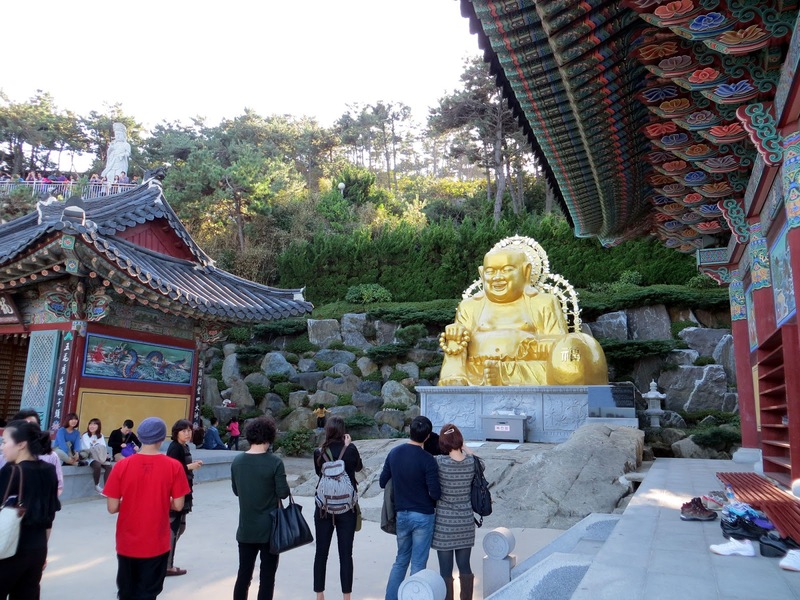 Putting such pictures, you have increased the temptation to visit this amazing temple. 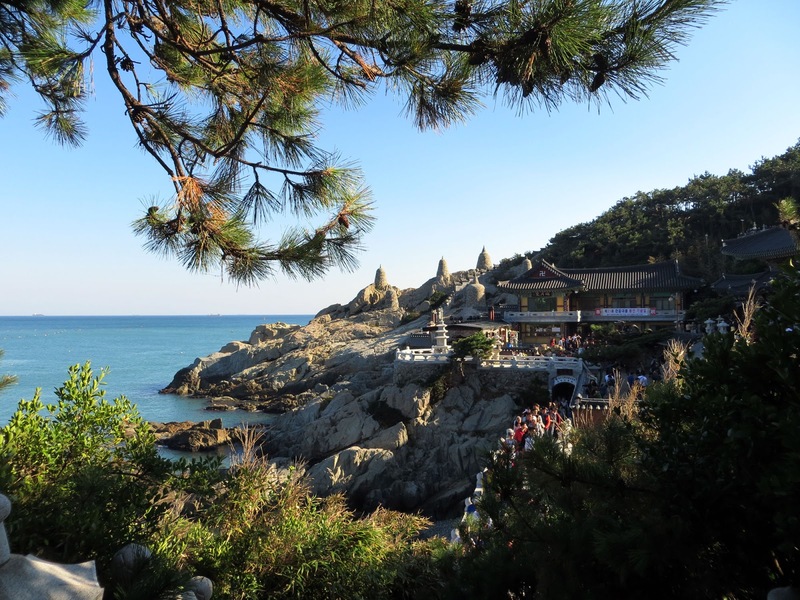 I intend to visit Busan soon.